#4 Jetset daughter for NVI! Mars Froukje 520 VG-86-NL VG-88-MS 2yr. Mars Froukje 523 GP-84-NL 2yr. Mars Froukje 505 VG-87-NL 2yr. Mars Froukje 478 *BY VG-88-NL 4yr. Mars Froukje 509 VG-85-NL VG-86-MS 2yr. Mars Froukje 472 VG-87-NL 2yr. Welcome to the website of Mars Holsteins Mars Holsteins is owned by the family van Essen established in the North of the Netherlands in Friesland. 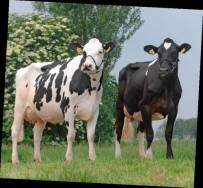 The well known cow family in the herd of Mars Holstein is the very popular Froukje cow family! 9 generations home bred VG or EXCELLENT with high indexes, great type and super production with high protein as a fact! The family traces back to the successful show- and brood cow Froukje 127 EX-90 (s. Nehls) who participated in the winning country group for the Netherlands at the European Show 1990! The Froukje family is wide spreaded now with several branches, the most well known branch right now goes through the Novalis daughter Froukje 277 VG-89, a great brood cow with over 15 sons in AI in several countries! Numerous embryos from her exported and her first sons are coming through now with positive indexes. We always have bulls, embryos and breeding stock available.